Attorney Jonathan D. Marx is a founding partner at the Philadelphia Personal Injury Law Firm of KaplunMarx. Jon with his partner Ted Kaplun has been practicing law for over 30 years. 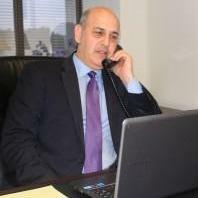 He is the consummate trial lawyer and has represented thousands of clients. He always focuses his efforts on getting top notch results for clients no matter the circumstances. Jon has been achieved 10.0 rating on legal ranking site avvo.com due to his qualities as a lawyer. Jonathan David Marx does not have any reviews yet. KaplunMarx is headed by two knowledgeable and tough Personal Injury Lawyers, Ted Kaplun and Jonathan Marx. We have 30 plus years of combined experience, we are in Court on a daily basis, we know all the tricks that insurance companies love to play and have gotten millions of dollars for our injury clients. We are the personal injury lawyers who will be with you every step of the way.